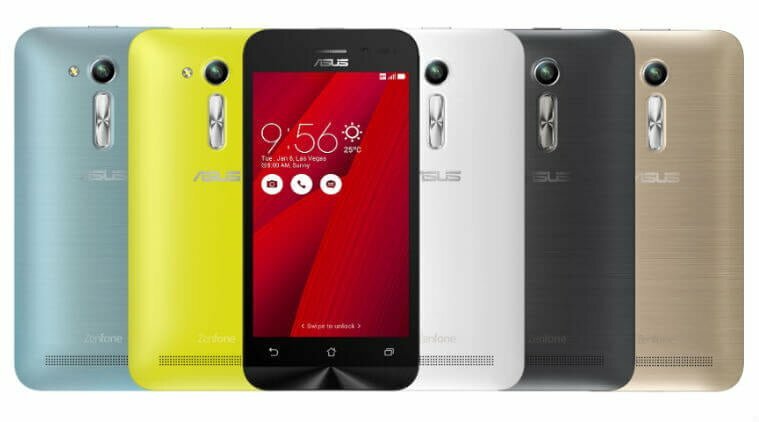 Taiwanese electronics giant Asus has launched Zenfone Go 4.5 2nd Generation — ZB452KG variant in India. The new ZenFone Go comes with a 4.5-inch FWVGA display (854×480 pixels) and is powered by a 1.2 GHz Qualcomm processor quad-core chipset paired with 1GB of RAM. It runs Android 5.1 Lollipop with latest Asus ZenUI skin on top. Obtainable in two different camera specifications, Asus Zenfone Go 4.5 2nd Generation is available with 0.3MP (front) with 5MP (rear) combo, or 2MP (front) plus 8MP combo (rear). There are camera enhancement features such as low-light mode, backlight (HDR) mode, zero shutter lag and beautification modes. In terms of memory, Asus Zenfone Go 4.5 2nd Generation has an in-built storage of 8GB, expandable up to 64GB via microSD card. It also offers ASUS WebStorage of 100GB for a lifetime. For connectivity, it supports, Wi-Fi, 3G, Wi-Fi Direct, Bluetooth 4.0, GPRS/ EDGE, GPS/ A-GPS, and GLONASS. It is backed by a 2,070mAh of battery. The Asus Zenfone Go 4.5 2nd Generation will be up for sale on Flipkart, Snapdeal, Amazon, PayTM, Shopclues and ASUS Exclusive Stores along with other offline stores. The pricing for the devices starts at Rs. 5,299. It would be value for money if it have 4G connectivity also.